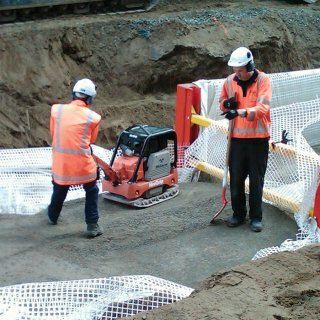 Pressure Main 11, a 1200mm diameter sewer main which was replaced by Downer NZ following the Christchurch Earthquakes. This project presented many challenges for the designers as it passed through highly liquefiable soils and required thrust blocks at each of the pipe bends. 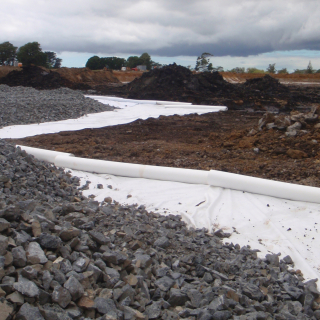 DuraForce AS410 nonwoven geotextile was used on this major infrastructure project at Auckland International Airport. Contractors Fulton Hogan were excavating for this high load pavement area and uncovered a peat swamp, complete with large partly rotten tree trunks.